Preheat oven to 220C/425F degrees. Butter 12 muffin cups or line them with liner paper. Melt the butter in a medium bowl in the microwave, and let it cool a bit while you prepare the other ingredients. In a large bowl sift together flour, cocoa, baking powder, baking soda and salt. Add sugar and mix. Set aside. In a medium bowl, whisk the eggs with the buttermilk, oil, melted butter, coffee granules and vanilla extract. Pour the wet ingredients into the dry ingredients and stir with a wooden spoon or a rubber spatula just until combined. Do not over mix. The batter should be thick and lumpy. Add chocolate chips/chunks and stir. 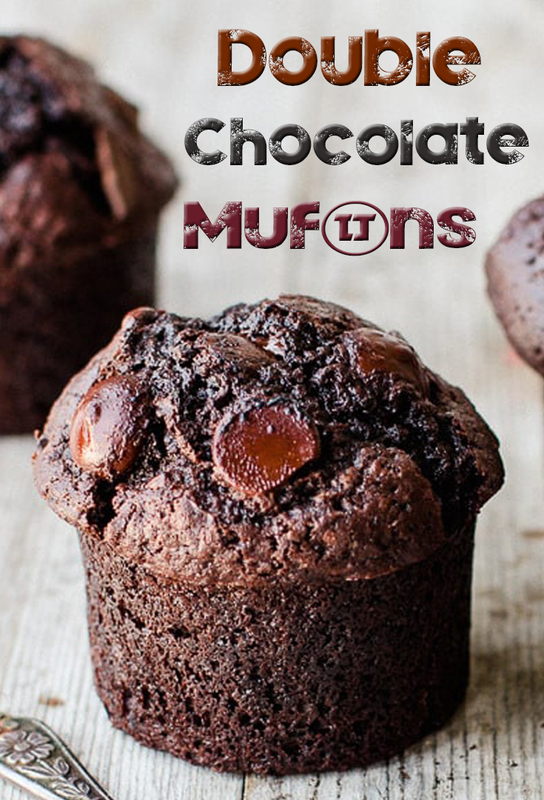 Divide the mixture between the muffin cups and fill them almost all the way to the top. Bake for 3 minutes and then reduce the oven temperature to 180C/350F. Continue to bake for an additional 12-17 minutes (15-20 minutes total), until a toothpick inserted into the center of the muffin comes out clean. Transfer to a wire rack and let cool for about 10 minutes before removing from pan. Muffins are best the same day they are made, but can be stored in an airtight container at room temperature for up to 2 days, or, they can be frozen for up to 2 months.